Your next vehicle is a big investment and there is no shortage of choices for a stylish and economical vehicle. The elegant and unique Italian design behind the 2016 FIAT 500 is sure to be on everyone’s list, but how does it compare to the 2016 Kia Soul? We wondered the same thing, so we put these two respectable vehicles side by side to see what the facts say. Take a look at the following information to see how each one compares and then be sure to stop by FIAT of Tacoma for a test drive south of Kirkland, WA. In terms of design, the Italian sophistication and artistic flair is legendary and continues to impress onlookers with the 2016 FIAT 500. 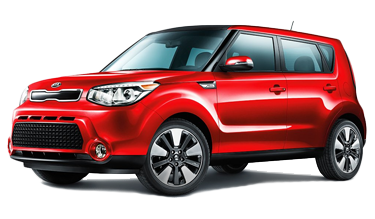 The new Kia Soul also provides a noticeable design difference as a recent arrival to the US market. Perhaps the most noticeable difference you will find is the size. The new 2016 FIAT 500 makes the most of its economic size with comfortable room for up to 4 passengers and a versatile maximum cargo capacity of 30.1 cubic feet. The new Kia Soul does provide more cargo room which means driving a larger vehicle that may prove inconvenient in tight spaces. Take the drive from Bellevue, WA and take a closer look at the 2016 FIAT 500 and we’ll show you a design you can be proud of at FIAT of Tacoma. When comparing the performance between these two vehicles, it is important to look at all of the numbers for the whole picture. The 2016 FIAT 500 may have a few less horsepower, but it is also significantly lighter. We think you will find the lighter weight and shorter wheel base of the 2016 FIAT 500 to be a much more engaging drive. The larger size, weight, and less aerodynamic design of the new Kia Soul also means that a trip to Renton, WA will cost you more at the pump. Come take a test drive in a FIAT 500 here at FIAT of Tacoma and discover why Italian automotive engineering is so well recognized around the world. It is easy to look first at the price tag when choosing your next vehicle, but don’t forget to look at what you get for your money. The new Kia Soul may appear cheaper, but it also lacks many features that come standard on the new 2016 FIAT 500. For instance, when you decide to upgrade to the FIAT 500, you will get included features like headlights that go off on a delay and daytime running lights–which aren’t at all available on the Kia Soul. Your new 2016 FIAT 500 will also come with heated mirrors which will cost extra on the Kia Soul. Inside, the list grows even longer–the FIAT 500 comes with standard features like remote keyless entry, voice activated audio, steering wheel controls, and still more that will mean upgrading for the Kia Soul. 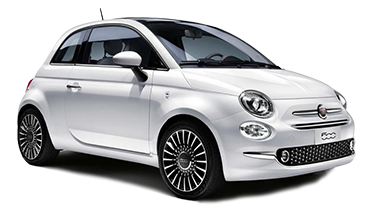 Find out more when you see the new FIAT 500 here at FIAT of Tacoma, serving Federal Way, WA.